It will tell the story of a lonely and pitiful middle-aged man who has always lived for other people and never lived for himself. I like the cast. Good actors. I heap praises for YJS in his previous drama Falsify which JHB was also part of. When will KBS release still shots and news about this drama? It will be Jan 2019 in about weeks time. this seems good. I think I will watch it. The main actor is a veteran and won several awards too. I don't know him, as I am new to Korean Drama. The idea of the drama is very good. Finally an update. 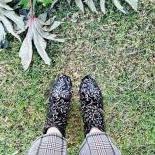 I'm fan of YJS. I know a good actor when I see one. He's terrific. I always watch the drama's he part of. I don't gloss much or gush about well known famous actors unless they show good acting or brilliant or I'm a fan. I'll be watching. Thanks KBS at least you're promoting this. Based on the younger siblings' appearance on Happy Together, they are not only a fun and chaotic bunch in reel life, but in real life too. Yes, poor Poong Sang-ssi. First episode aired and I don't really know what to say. If this is good or bad. Family drama nd if you have siblings you probably can relate to this drama. There's 5 siblings here. Father passed way leaving debts and pain and hurt for them when he was still alive. Poonsang sisters are twins Lee Jung Sang (Jeon Hye Bin) Lee Hwa Sang (Lee Si Young) but they're total opposite personality. WS is doctor earns money, has a nice place while is the typical black sheep into friends, looking for that rich guy to seek comfort and money. The siblings are used to her by now. 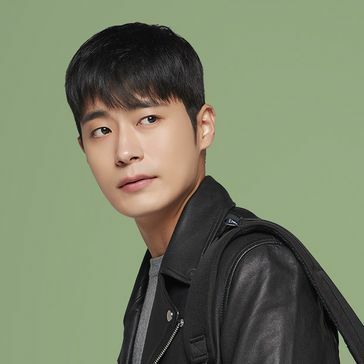 Second eldest Lee Jin Sang (Oh Ji Ho) not sure what's his character but but older ladies has a thing for him and he takes. Again, the money thing is tied u to him being like some old woamn's fantasy. Whereas HW is obvious, JS is more in check and aware. The youngest Lee We Sang ( Lee Chang Yeob)- angsty he's got hate for his father who was never there did not support him and also hits him. He had the flashback his father was and never had been a father to him. The father's current wife went to Poonsang and there he was told that the nigh the father died, ( he died outside the store on snowy night) he was supposed to meet Poonsanf to says sorry, that the father was ashamed to asked r one of the children to donate their liver knowing that he was not the ideal father to them. Good acting Yoo Joong Sang. I always watch his dramas. We'll see how it after the second episode. Waiting for the second episode to be sub. I really liked the first two episodes! It was not as crazy as what I was expecting (but I admit, I may have mentally over-prepared ). It was chaotic and brutally comedic, but heartfelt and [sadly] relatable. You get the sense that Poong Sang's siblings respect their oldest brother most, or at least enough, to be present at their father's wake. And of all siblings, it is maknae Wi Sang that puts a stop to it. With her uncontrollable outbursts, I was expecting Hwa Sang to be the first to walk out. XD At the bottom of it all, they are heartbroken kids-- no, siblings, because they never had parental figures. Ending of ep2 was very sad (I was also taken by how beautiful the shots were-- indeed, Poor Poong Sang. Poor Yoo Jun Sang-nim ). We know that there are at least two different mothers (in Happy Together, they reveal that maknae has a different mother than the rest, and he touches on it in his breakdown). The ensemble is awesome. We don't get to see too many personal interactions between each sibling yet (except each with Poong Sang), although there are obvious suggestions that the twins are complete opposites. Jin Sang and Hwa Sang are more likely to flock together, whereas Jung Sang and Wi Sang rather keep to themselves. 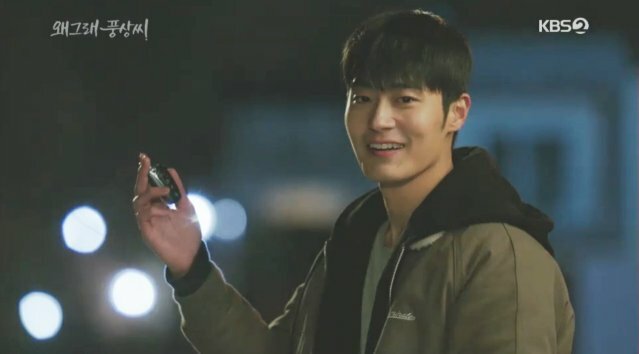 From the looks of things, Jun Sang is or will be in an affair with her married colleague, and Wi Sang is trying to leave his gangster life behind (the scene of the gang coming to the wake was scary). And yay to the public service ad: Don't drink and drive. Omg. This drama is heartwrenching. Every character is flawed. Liver or Die was never on my radar. I tried watching ep 1 after seeing the ratings were ok-ish, and i read it has lee si young. But man...hwasang is awful. She's really a piece of work. Same goes to Jinsang, who is addicted to gambling. Poonsang is a pitiful bro who served his siblings for half his life. His wife tolerated all their antics but now she has had enough of it. I'm glad Wisang is kinda nice eventhough hot tempered, at least he is working and helping his bro not like Hwasang and Jinsang. I like Junsang who is matter of fact. I liked how she tried to comfort her friend, i thought it was true to her character. But then it was showed how flawed Junsang is too. I see how conflicted she is that she likes her married colleague. But Jiham is the one holding on and giving her hope. From their talk at Junsang's house, both of them seem to be nice people caught in a very very wrong mess. Its upsetting to watch, feels wrong and is wrong. I dont support infidelity. Imo both SJH and JHB acts their characters emotional conflict well. I feel bad for both of them together with his wife and child for being in this emotional mess. I wanted to take a break from drama watching but i unexpectedly got hooked with this . I want to see how Poonsang will deal with Hwasang and Jinsang and juggle his family too. And also for Junsang to sort her relationship out. P/s: oppa-yaaaaa! I didnt expect to see Song Jong Ho in this. I like him since Reply97. Too bad his character here is not as loyal as oppa-ya. Lol. Oppa's wife is a diehard TVXQ fan. Thanks for clearing that. I was thinking.. WS has different mother but I wasn't sure yet. Same thoughts. The ensemble cast are good. I'm only familiar with 3 actors though. 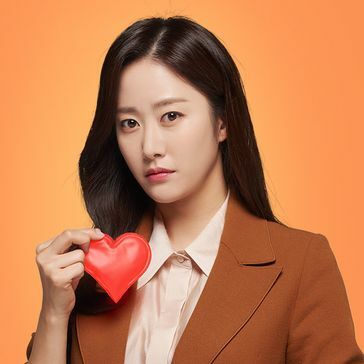 Yoo Joon Sang ( as you can see from previous posts, I watch his drama cos he's a good actor) Jeon Hye Bin, I saw her as well - they were together their previous dramas. And Oh Ji Ho.. cos Geumbi drama is favorite of mine. 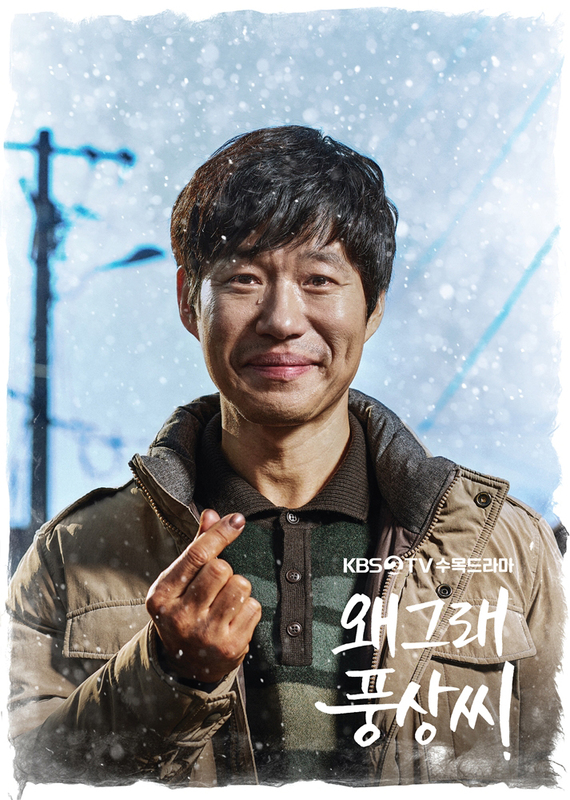 Yoo Jun Sang is amazing, as expected. I'm about watch episode 2. Was waiting for the sub. Even Poongsang. His adoration for his siblings make him an enabler. When he gets a drink with Wisang, though, and apologizes and smiles, you can't help but love this oldest brother more that he's willing to come forward first with no grudges after all that transpired. Doesn't help that Yoo Jun Sang has the cutest dimples haha. I was also surprised to see Song Jong Ho in the snippets of promos. I haven't seen him since The Princess' Man (2011). At the moment, though, I think I differ with your opinion. Without knowing the full background of their relationship, I don't feel sorry for Jiham and Junsang. Infidelity is still cheating. But because I do identify with Junsang as a person, I've mixed feelings. I was glad to see Hwasang discover her sister's relationship, but it looks like she will be the one to expose it. Who knows the limits of Hwasang. I honestly feel for Hwasang as the twin who's lesser than (and Lee Si Young is so cute and plays her so annoyingly well!). I'm excited for Wisang's development with Jo Young Pil (played by Ki Eun Se). Their interaction in ep4 (or ep2) was cute and heartwarming. She will definitely be the one to move the tough Wisang (but hopefully her acting will improve ). I wanted to take a break from drama watching but i unexpectedly got hooked with this. I want to see how Poonsang will deal with Hwasang and Jinsang and juggle his family too. And also for Junsang to sort her relationship out. I don't watch too many dramas now and certainly not the trendy ones nowadays, but when I came back from my long kdrama break, I found that I prefer the calmer and slower things in life haha (i.e. family dramas), thus, was a bit nervous about this drama. But, I love rookie actor Lee Chang Yeob, so I've been excited for it and had to mentally prepare because it just looked and sounded chaotic. Thankfully, this unexpected and fun cast are being such good seniors. Together, they are chaos in real life too! It's very nice to see them poking fun at and taking care of Yeobi at all his "firsts" (his first weekday prime time drama as a main cast, first appearance on a variety program, first live events and talk shows with KBS, etc. ).They all seem to embody similar traits as their characters! Especially Oh Ji Ho. He and Lee Si Young are the goofballs. And Hyebin is very nurturing, very noona-like. Yoo Jun Sang is really like the father of the bunch. And maknae Yeobi is opening up because of his colorful seniors. It really helps make the drama that much more enjoyable. The cast being goofy in last night's KBS Entertainment Relay. I'm loving this drama.. Each character is a total mess.. I'm stll floored by the mother hanging out at the funeral hall like that and had the nerve to ask the son about the gold bars and did the husband leave anything behind. He should have told her yes your illegitimate child.. He has no clue and wants to see his mom who runs around dress like she's ready to stand on the next corner.. I wondering what will he thinks when he meets the women he so miss so much.. Then her and the pimp broke in the house to clean them out of what little they had.. What a MOM.. Ubelievable Talk about a dysfunctional family. At the moment, though, I think I differ with your opinion. Without knowing the full background of their relationship, I don't feel sorry for Jiham and Junsang. Infidelity is still cheating. But because I do identify with Junsang as a person, I've mixed feelings. I don't think level-headed JS will go beyond liking Jidam from a far, even liking him seems to be eating her inside. Jidam likes her but never pursued her until he was edged by his colleague. I don't think he would have done anything if not for the roof-top chat. And they would just like each other from a far. I don't condone infidelity. The way the scene was acted out (https://youtu.be/x4TLLGQmI0k), made me think that this was not what they wanted to happen, they both look conflicted but they made their choice. The emotional turmoil they are going through can be seen on their faces. The thing is heartbreak is bound to occur to everyone involved in this Jidam-JS-Wife-daughter saga. Especially his wife-daughter. Both of them intrigue me since (infidelity aside) i like JS who is so matter of fact and i like Song Jung Ho as an actor hahaha. Done with episode 2. The shouting still annoys me. It needs to be toned down, it's grating on the nerves other than that. I enjoyed the episode. I do understand Poongsang's wife when she said she wants Jinsang and Hwasung to move out of the house. They have to feed them shelter them and on top of that both siblings doesn't even contribute anything except debts which Poongsang is the one always paying the loans. He needs to remember he has a family. A wife and a daughter. I know how much he loves the siblings but He's married you need to spend money and time with them and not with the siblings. They're all cramp in that tiny house. They not even given Poongsan his wife and daughter the time and space. The daughter feels this hence she's rebelling. Poongsang is too kind to a fault. I feel bad for him. It's not because of him that life for them turned out that way. He's the eldest, he's taking in the responsibility for his siblings. I would understand being protective and especially to Wesang, but he has family. The wife to put up with all the chaos for 18 years and then the daughter to feel like he wasn't much of a father. He needs to be firm. Let the siblings move out, support the wife. They were too dependent on him. The father told Poongsang that Wisang isn't his child (or was it out of rage?). Does Wisang have a different father or mother? I'm thinking the real mother is the one who was stealing money. But I feel like the father has hatred for her, maybe she got pregnant by another man hence saying he's not his son. So yeah, could be a different father. Remember he didn't want for him to play basebal/l practice - no money or something like that. Wisang has hatred for the father he new because he was always hitting him, and the mother- said this on ep 1. The way Wisan was treated. And this is also comes to why Poongsang is protective of Wisang. Yeah, I like their scenes and when he pat her head to his shoulder.. She's the daughter of rich parents? I don't have an opinion of Junsang love of married guy.. not yet. I'll see how it goes. But maybe there will be another character.